The Tánaiste has reiterated Ireland’s support for Ukraine on the fourth anniversary of the illegal annexation of Crimea. TÁNAISTE AND MINISTER for Foreign Affairs Simon Coveney has reiterated Ireland’s support for Ukraine and expressed serious concerns at the deteriorating human rights situation in Crimea. 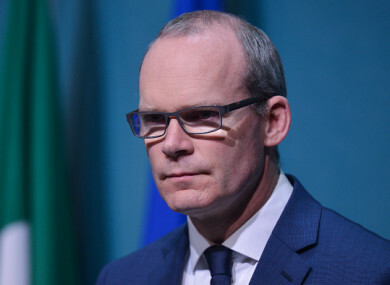 Speaking on the fourth anniversary of the illegal annexation of Crimea and the city of Sevastopol by Russia, Coveney said Ireland supports Ukraine’s “sovereignty, independence and territorial integrity”. Coveney said the worsening human rights situation in Crimea is “deeply concerning”. “I call on the Russian Federation to guarantee that freedom of expression, religion, belief and the right to peaceful assembly can be exercised by citizens of Crimea without discrimination on any grounds. He added that international and regional human rights monitoring mechanisms should be “granted full, free and unrestricted access to the peninsula”. During the week, Russian President Vladimir Putin thanked residents of Crimea for voting to annex the peninsula from Ukraine in 2014, calling the move “real democracy” in a speech ahead of the first round of voting in the Russian presidential election which takes place today. “With your decision you restored historical justice,” he told a crowd of supporters in Sevastopol. “With your decision, you showed the whole world what is real, rather than sham democracy, you came to the referendum and made a decision, you voted for your future and future of your children,” Putin said. Email “Coveney says human rights situation in Crimea is 'deeply concerning'”. Feedback on “Coveney says human rights situation in Crimea is 'deeply concerning'”.